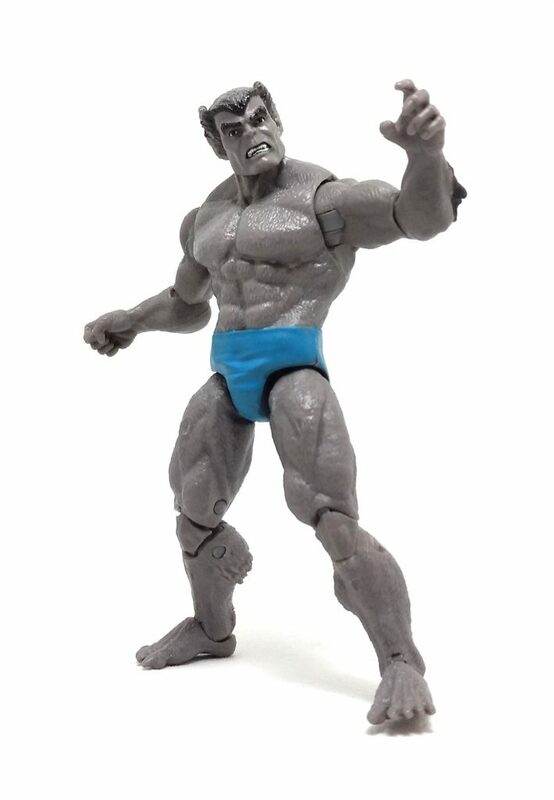 As part of the late waves of action figures in the 3.75 inch Marvel Infinite Series, Hasbro saw fit to include an X-Men character that has been part of the team forever. Dr. Hank McCoy, a.k.a. 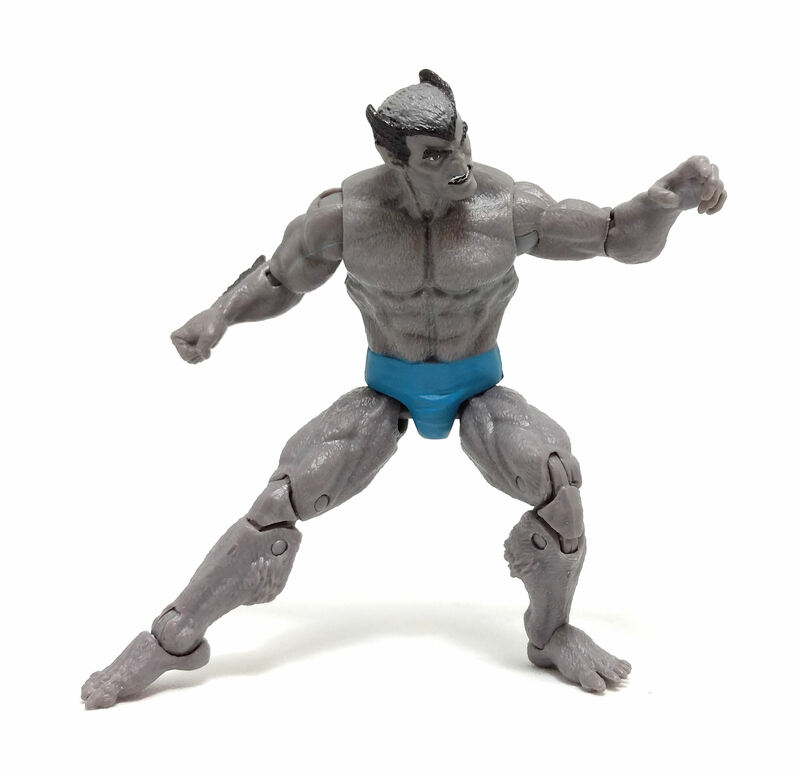 Beast is one of the original students enrolled in the Xavier Institute for Gifted Youngsters, and even though Hasbro has offered a version of him in his more modern incarnation, this time around they decided to go for the much early furry Gray Beast version. 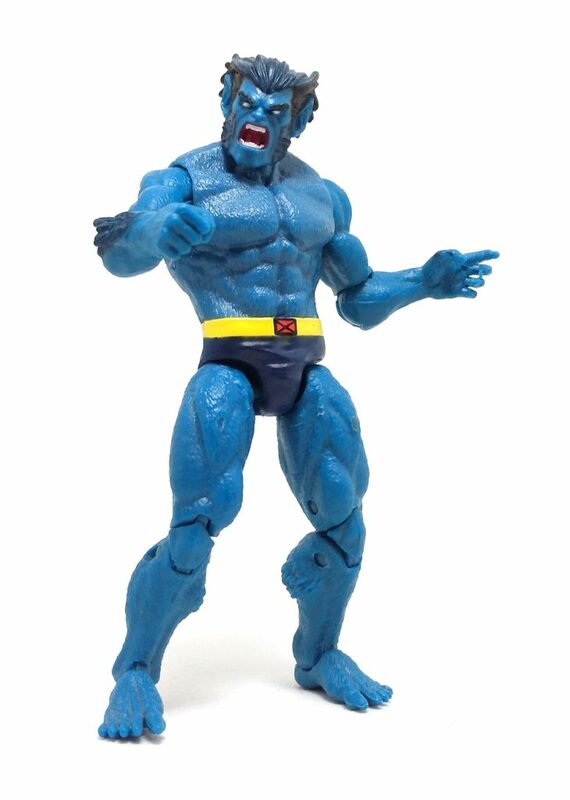 But wait, there is more: since there seems to be an apparent surge in popularity for the X-Men designs from the 90’s, Hasbro decided to offer at the same time a Blue Team Beast variant action figure, simililarly to the way they brought up the Sandman figures in this same line. 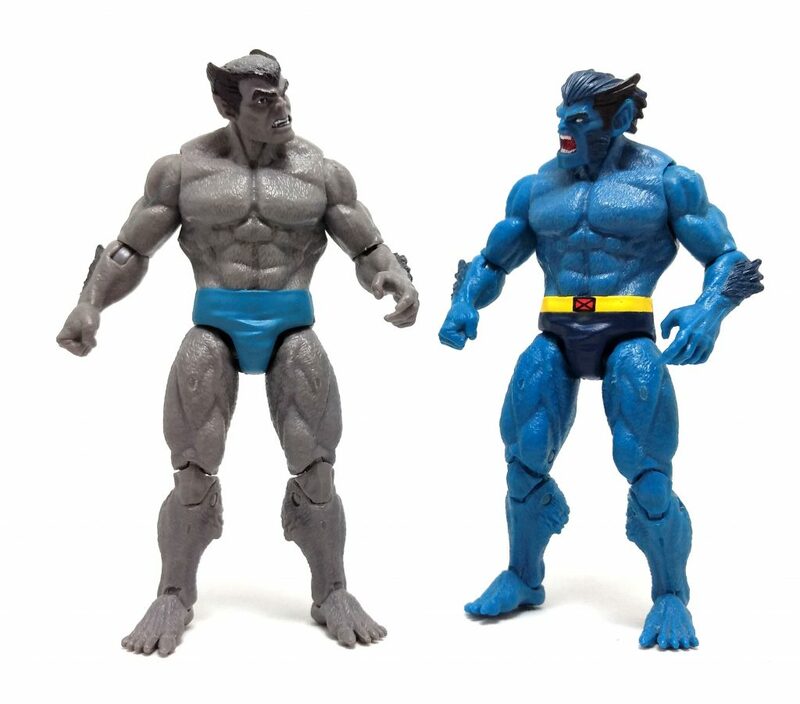 Both Beast figures share the exact same body mold with unique head sculpts for each incarnation. The gray head sculpt has a more serene expression, but the blue version sports a fiercer visage. At first, this articulation design doesn’t feels as complete as the one used around the middle of the run for the Marvel Universe line, but it actually works well for this character. Perhaps the only thing missing would be the ability to turn the hands, but overall this scheme works just fine. Deco on both versions is really sparse, being mostly limited to their shorts and the tufts of darker hair on their forearms and heads. Both have solid blue shorts done on different hues, but only the blue Beast also has the bright yellow belt with the red X buckle painted on. The paint applications on their faces are quite different though, as the Gray Beast has a closed mouth and visible pupils, while Blue Beast has the mouth open and completely blank eyes. Neither version comes with any accessory, which I guess is fine, considering Beast relies more on his acrobatic skills rather than gadgetry. 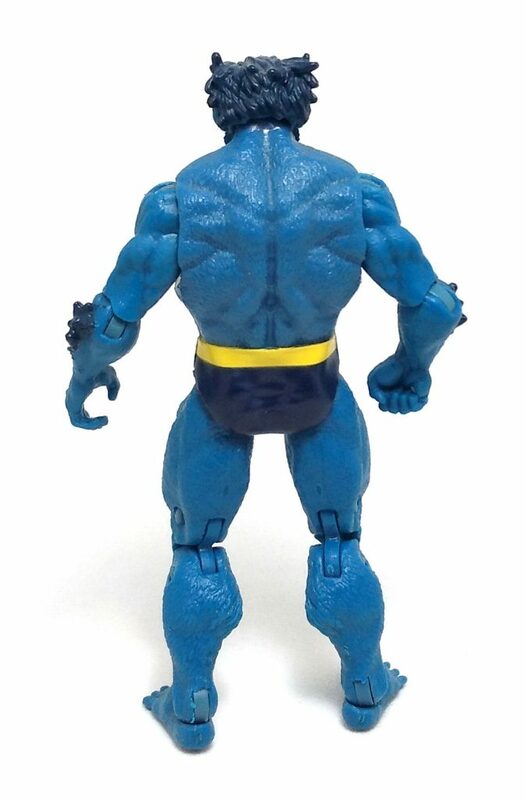 While I am still somewhat unfamiliar about the exploits of the character during his gray period, I was totally on board regarding the blue Beast, as it was the one I read most about during the 90’s.